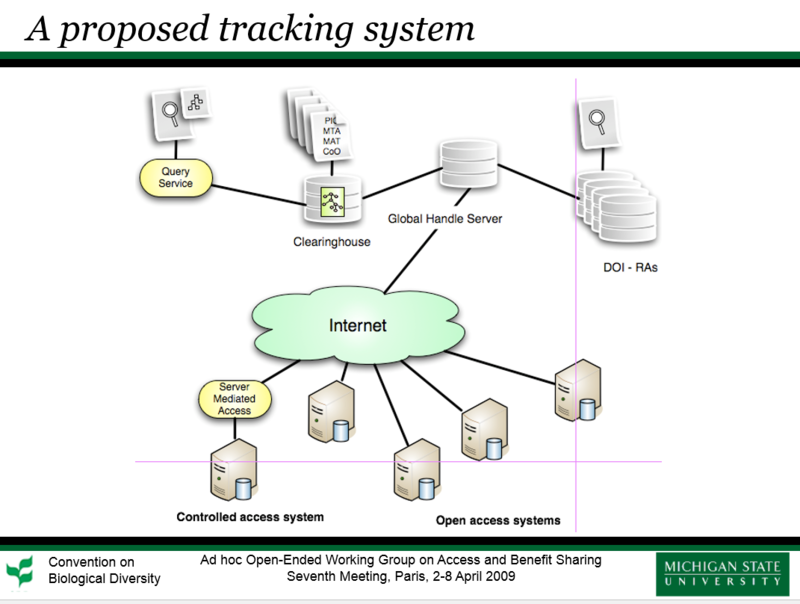 To facilitate tracking of biological resources, we recommend adopt a well-developed and widely used PID system that leverages an existing infrastructure and derives support from multiple sources, followed by deployment of light-weight applications that use browser technology for interactive use and publication of Application Program Interfaces to support additional web services. After reviewing recent methods of identifying genetic resources directly based on DNA sequences, we have identified methods of tracking and monitoring genetic resources through the use of persistent globally unique identifiers, including practicality, feasibility, costs, and benefits of different options. Herein, we outline our recommendations for baseline requirements for such a global tracking system to aid users and providers in complying with CBD ABS objectives. [permalink] Posted April 2, 2009.